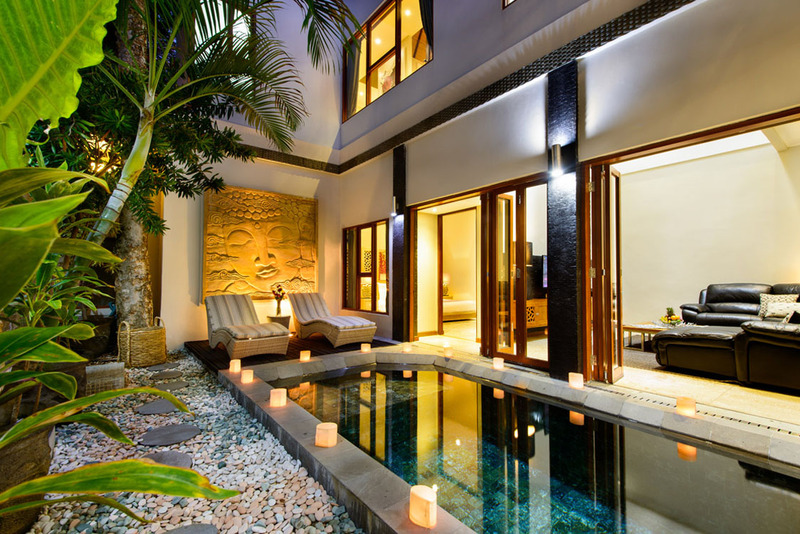 From $ 388 $ 310AUD per night We have direct contracts with most villa owners. We don't add any booking fees. We are 100% transparent with no nasty surprises. 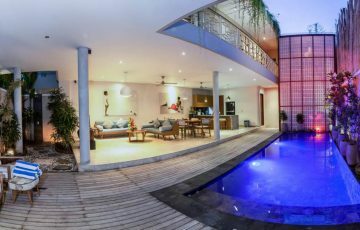 Really well priced for a family or group holiday in Bali wanting to experience villa living in a vibrant and central location. You get your own private butler to organise everything for you. 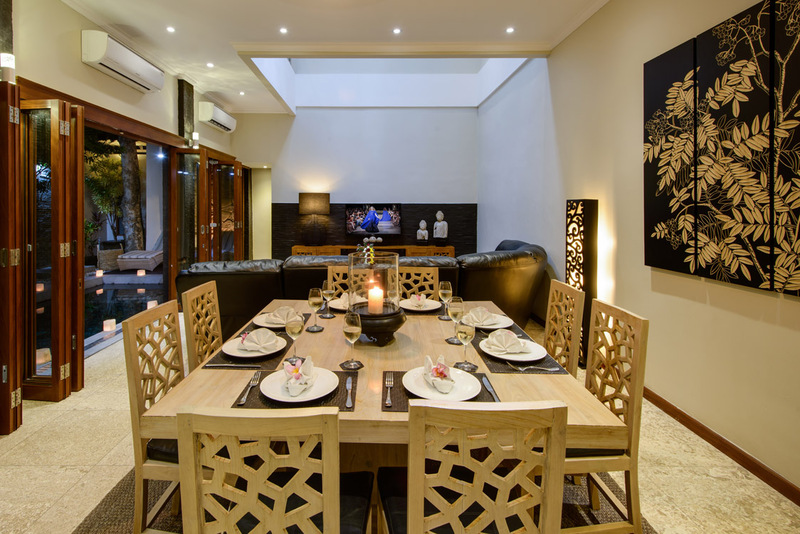 Villa Michelina is a delightful 3 bedroom Legian villa holiday rental, that can sleep 6 guests and located in the exciting and bustling Legian tourist area. 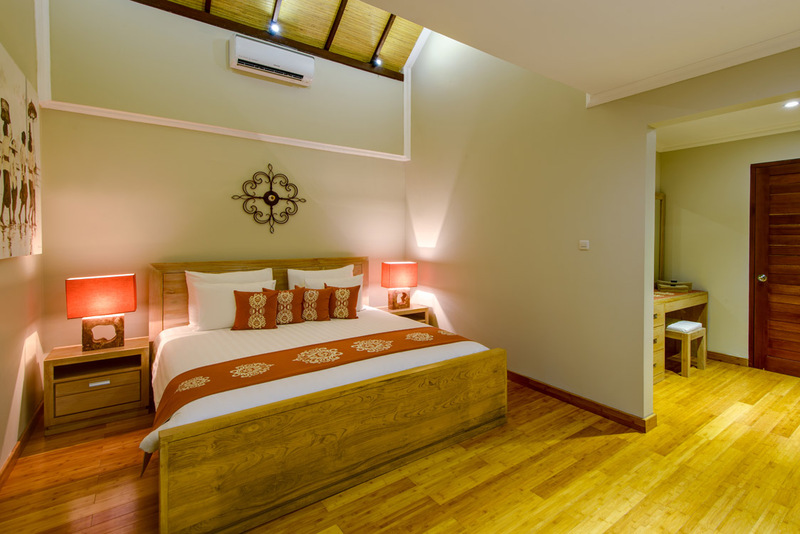 Newly built, the villa is modern, comfortable and equipped with all the best amenities to make your stay totally relaxing. 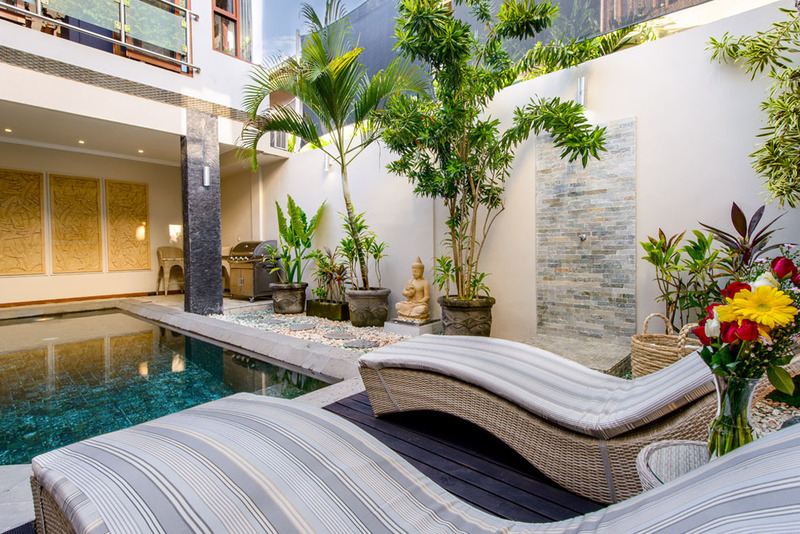 The villa is situated in a quiet lane way in the middle of Legian, making it easy for guests to discover plenty of great restaurants, bars and amazing cafes near the villa. 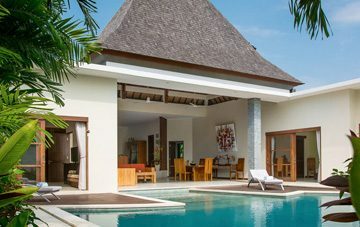 The villa is ideal for a family or group of friends wanting to holiday right in the centre of the action – but still enjoy complete privacy and peace for a rejuvenating escape. 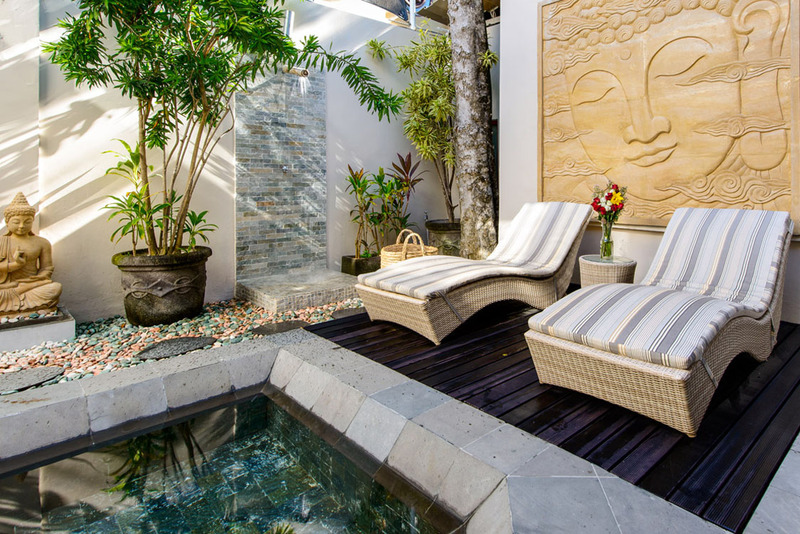 Villa Michelina features a pleasant courtyard style outdoor setting, tropical palms and plants border the swimming pool and the pool deck provides the perfect place to enjoy the warm tropical sun on one of the poolside recliners. 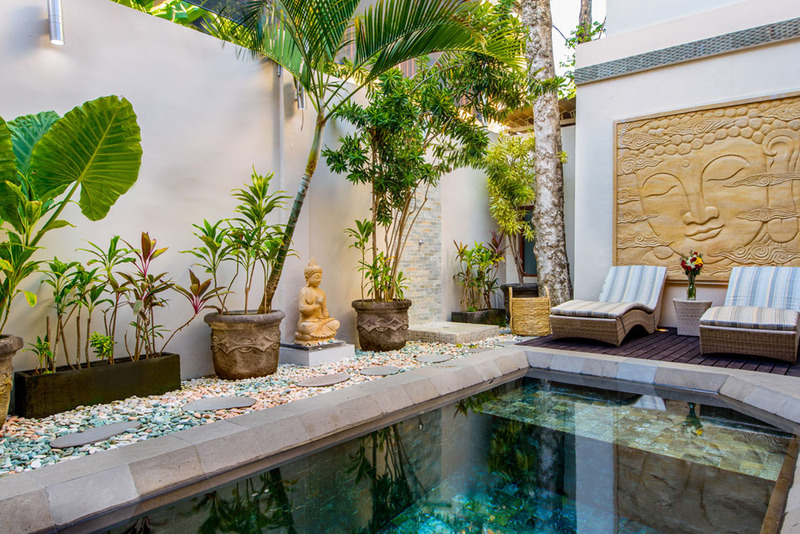 A water feature adds an element of Zen to the setting and high walls ensure complete privacy for guests at all times. 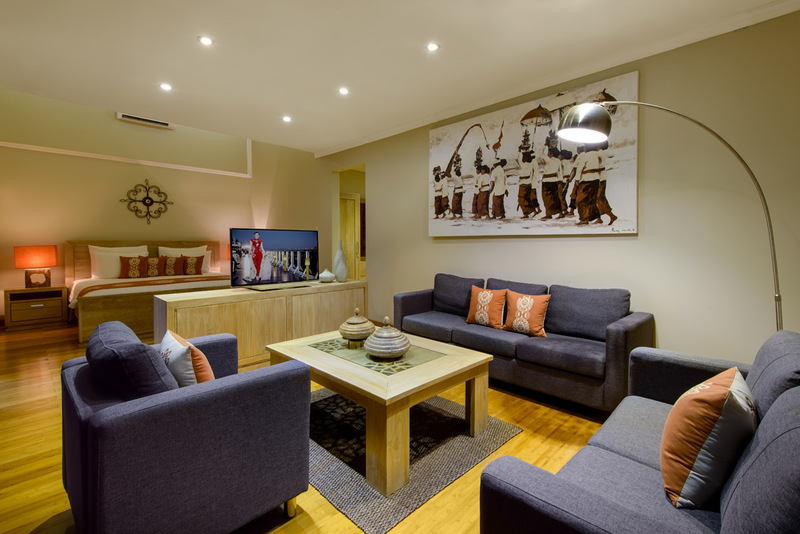 The ground floor living area is perfectly spacious and furnished with stylish and comfortable sofas and chairs. 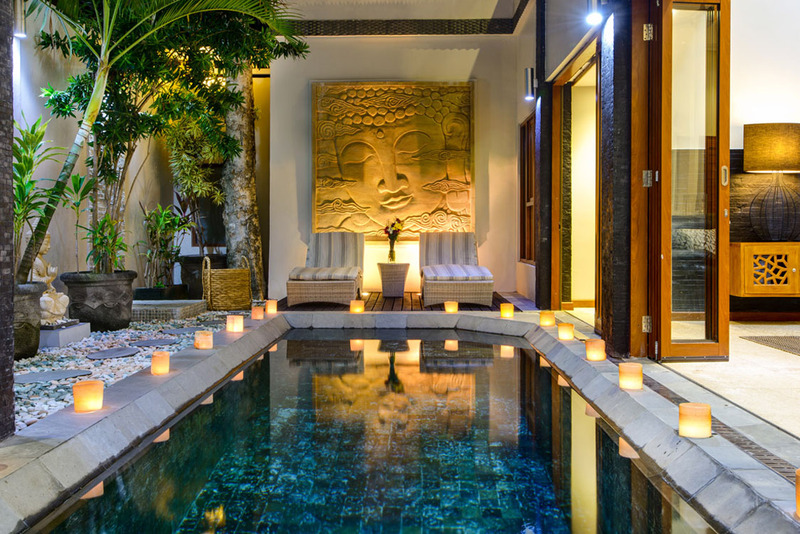 On the walls hang traditional Balinese paintings and the large couch set is positioned to give guests a view of the garden and pool. 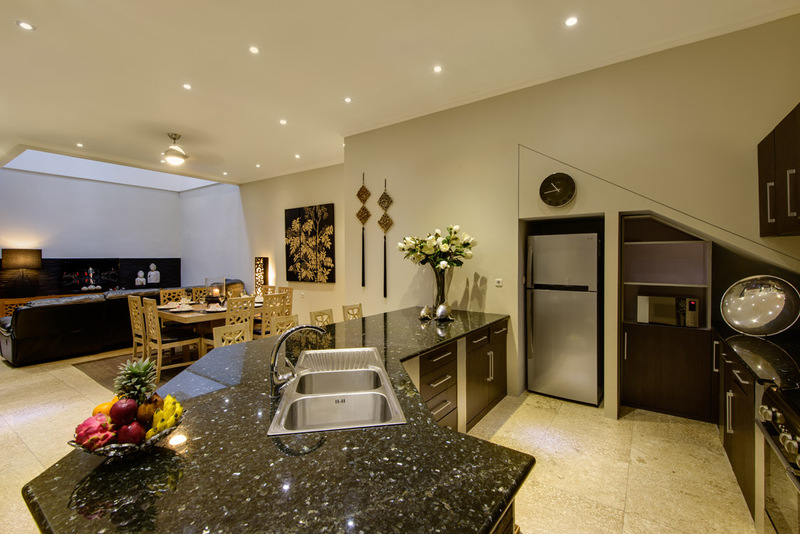 The open-plan layout also incorporates a modern and well equipped kitchen and there’s a great dining table for 8 guests. 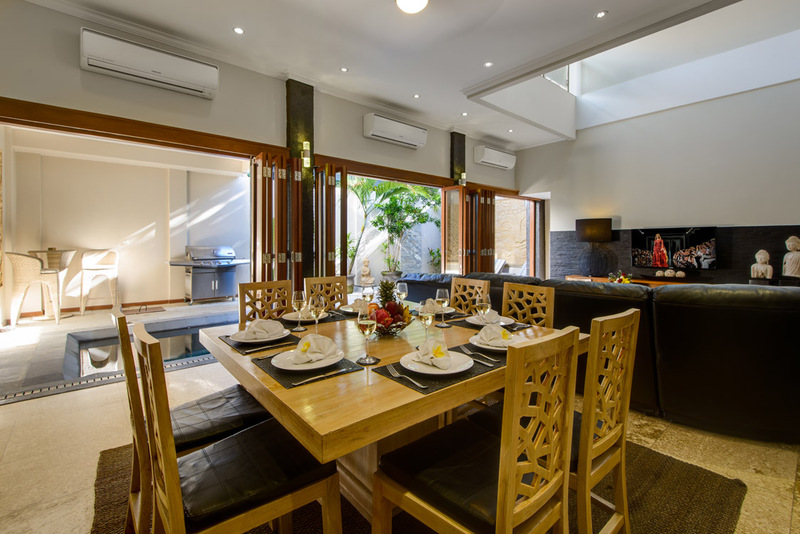 Open the large bi-folding doors onto the pool for an alfresco living environment, or relax in air-conditioned comfort. 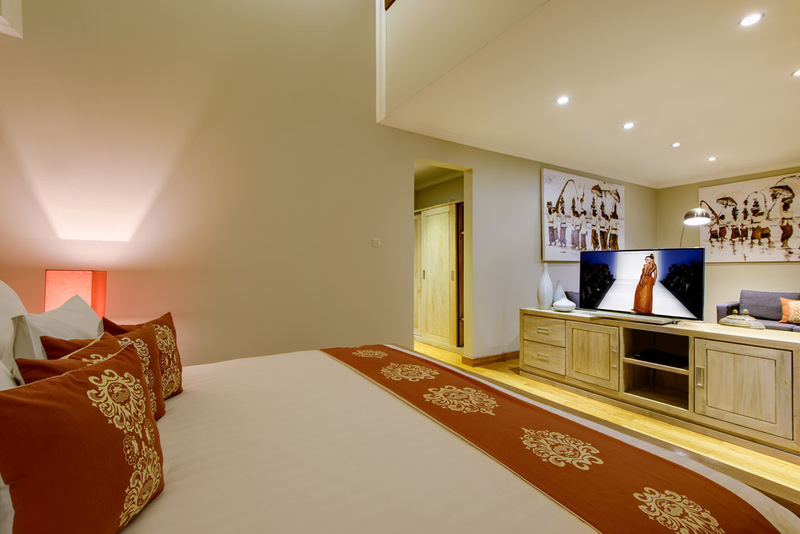 Villa Michelina has three very spacious bedrooms and can sleep up to 6 guests comfortably. 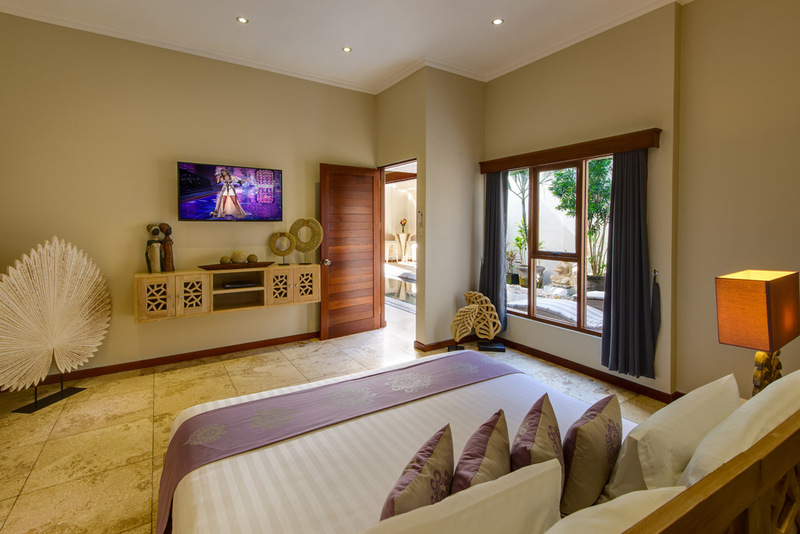 The master bedroom is located on the upper floor with a separate sitting area, another upstairs room features smart design with a wall that separates 2 king sized beds thus providing very comfortable accommodation for 6 guests on the upper floor and another two guests in the downstairs suite by the pool. 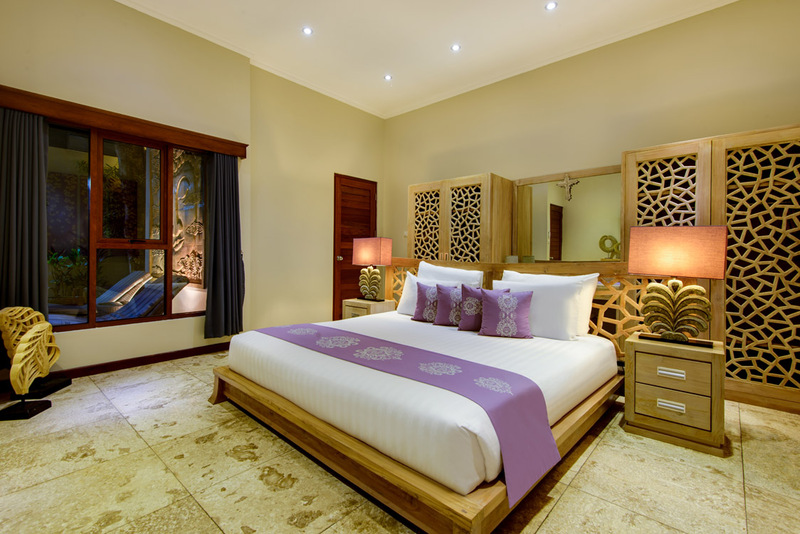 Each bedroom comes fully furnished with a king size bed, a flat screen TV, a DVD player, beautiful Balinese art fills the walls and tasteful timber furnishings round out the rooms. 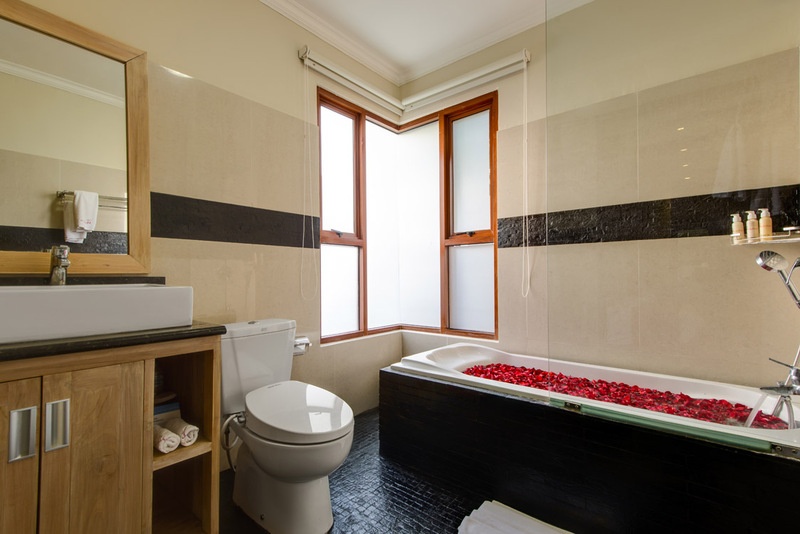 En-suite bathrooms feature a mix of built-in soaking baths, twin vanities and monsoon showers. 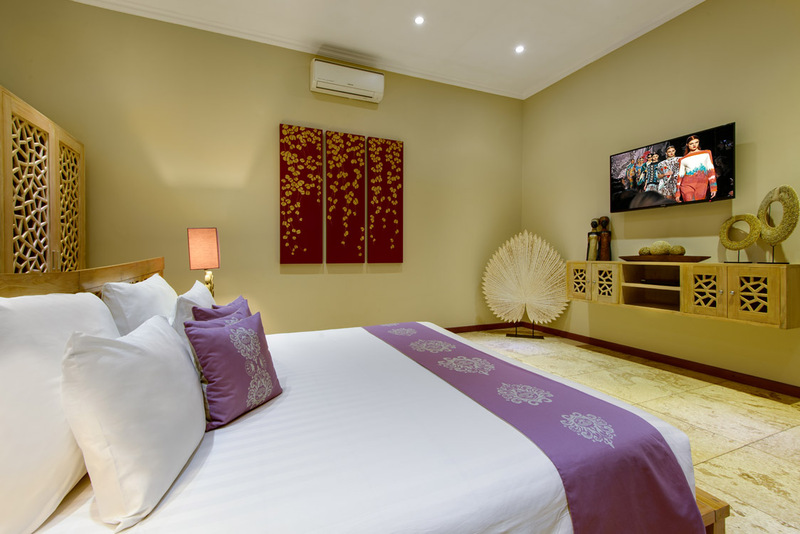 Guests will be very happy with the sincere warmth of the Balinese staff that is professionally trained and very used to looking after guests from all over the world. 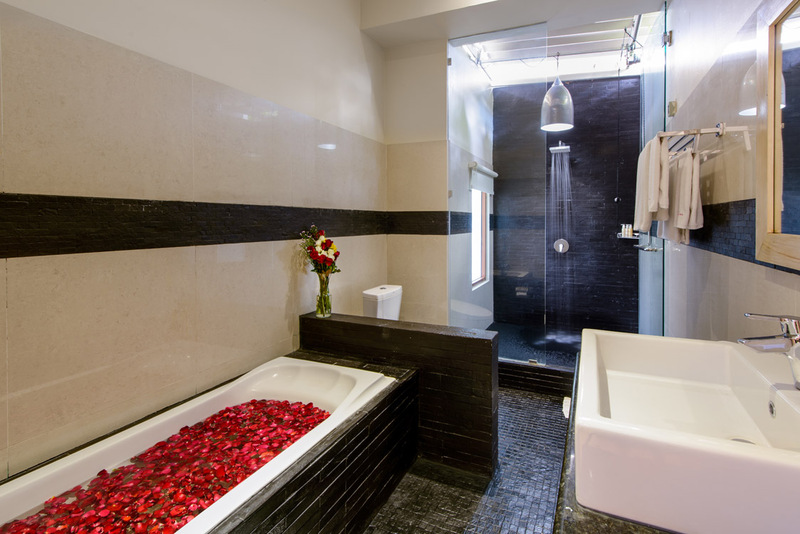 The villa will be cleaned daily and provide breakfast catering. 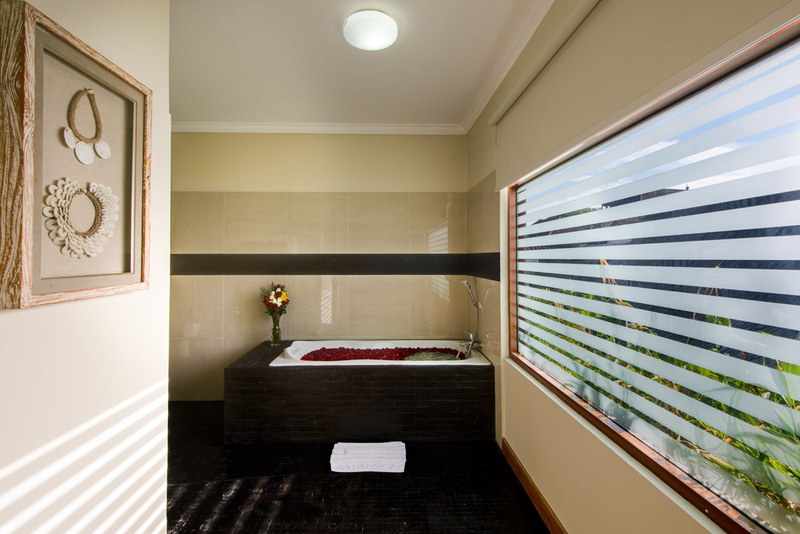 Should you require the services of an in-house chef, babysitter, masseuse, driver or any other services, the staff will make all the arrangements for you. 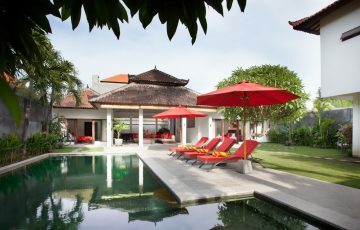 The villa is in the bustling Legian tourist area which is famous for its great restaurants, bars, cafes, shopping and night spots. 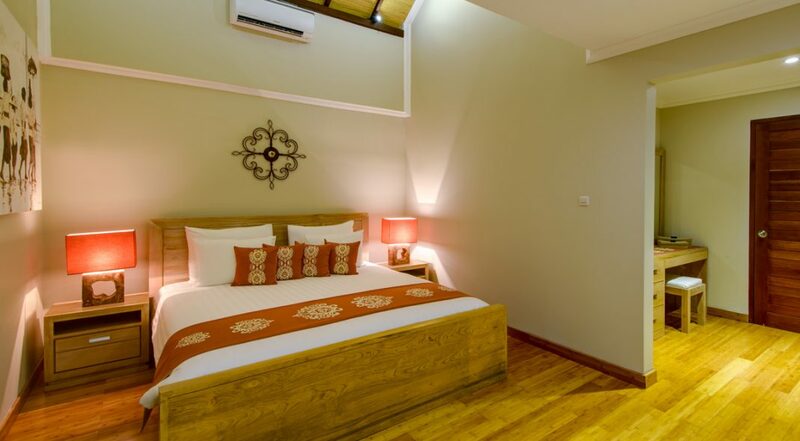 The villa is just minutes away from the Double Six Beach where you can enjoy great sunsets from the comfort of a beanbag on the sand whilst experiencing the hip beach clubs and seaside restaurants. 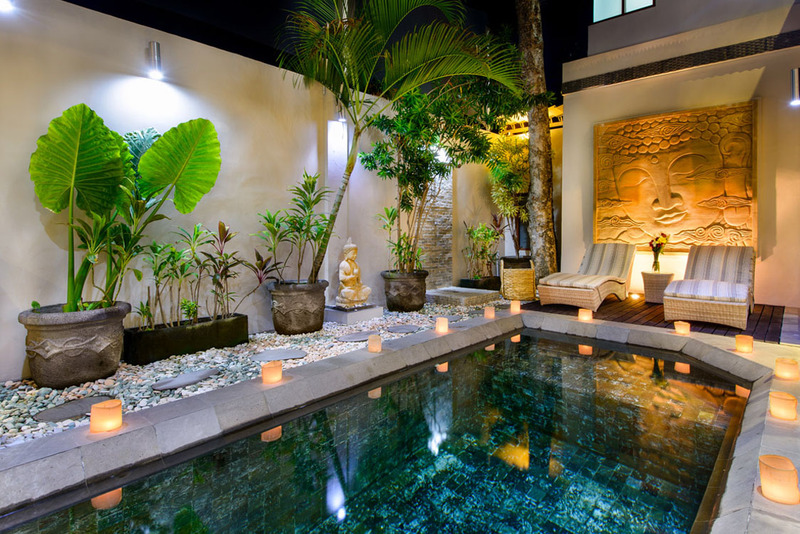 There are plenty of spas around the villa for a relaxing massage and plenty of shopping can be had at the array of chic boutiques, home wares and souvenir shops. 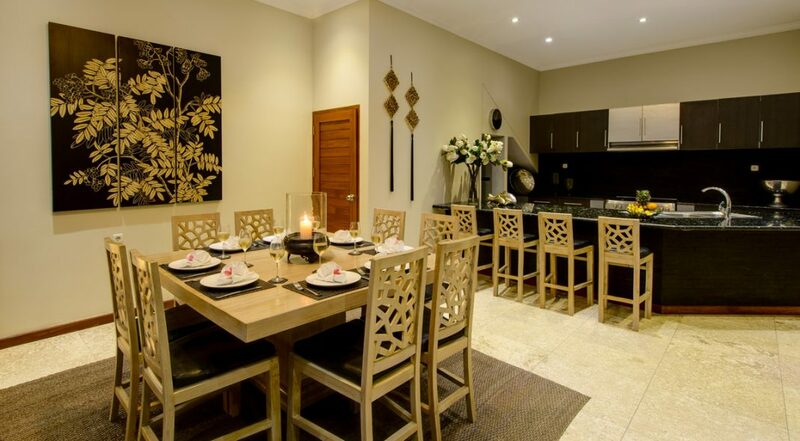 This is a popular Legian holiday villa rental so make sure you book Villa Michelina well in advance, especially during peak season, Australian school & public holidays. 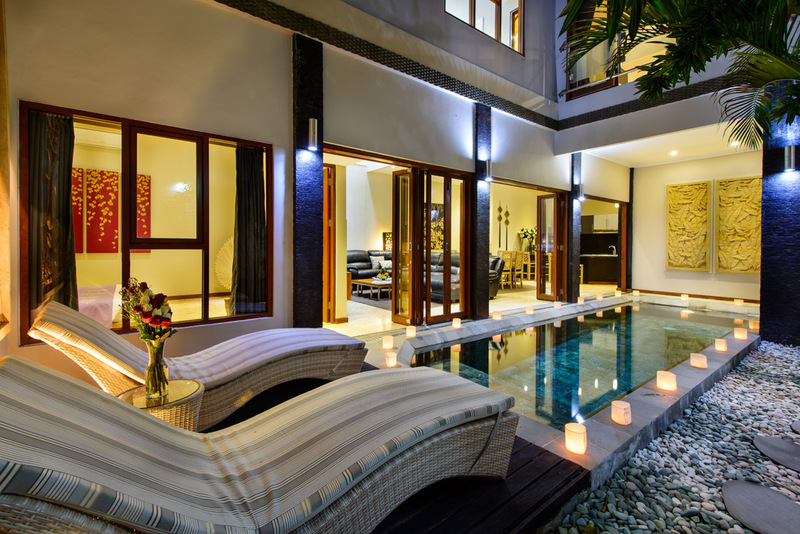 Absolutely amazing - this was our first time staying in Villa accommodation in Bali and we were not disappointed. 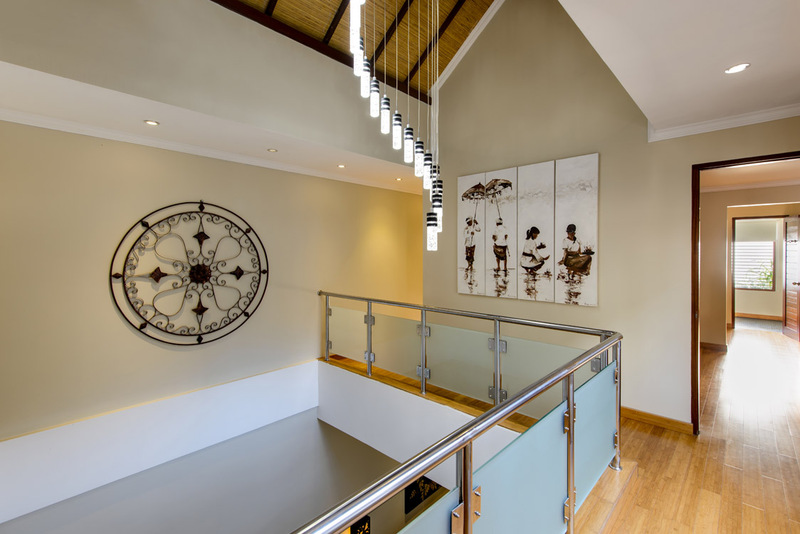 From the moment we walked in we knew this spacious Villa would be a haven from the heat and bustle. 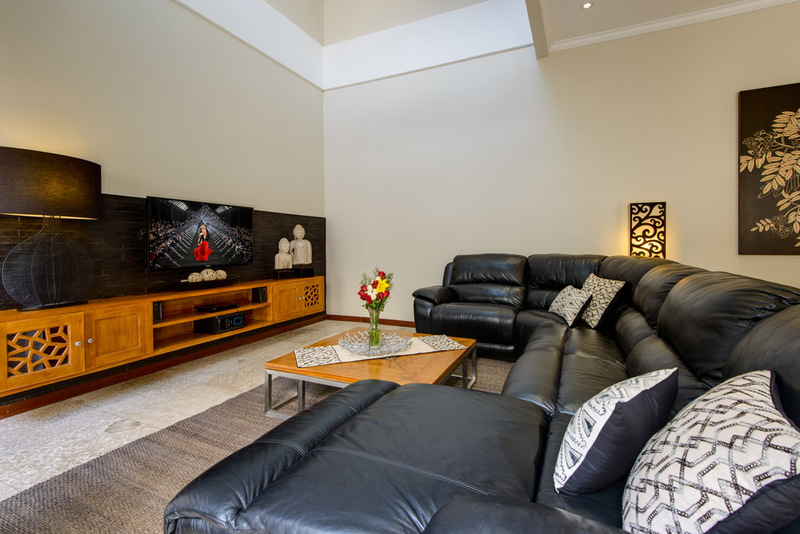 The facilities were fantastic, as a adult family we all had our own space and privacy and the HUGE open plan living area gave us plenty of space for us all to relax. The bathrooms were beautiful and spacious, the bedrooms were cool and very comfortable and the kitchen facilities had everything we needed, even a cold drinking water dispenser. The swimming pool was stunning and we used it every morning and every evening. The location was perfect, so close to the beach and the shops but tucked away just enough to give a sense of privacy. The staff were fantastic, Ina who organised the booking made the booking processes effortless and answered every question we had prior to and throughout our stay. Bagi our butler went above and beyond to make our stay as special as possible. Every morning he put together the most delicious breakfast. He put so much effort into remembering all of our personal preferences and even on our last morning when we had to leave by 6:30am he offered to come in early to make us breakfast and say goodbye. We made a few travel bookings on the streets and Bagi always took their phone numbers so he could give them a call to make sure that they know where to pick us up from, then waited with us to make sure they arrived which put us at ease. Overall it was a very special stay and we have come home with beautiful memories of this Villa. 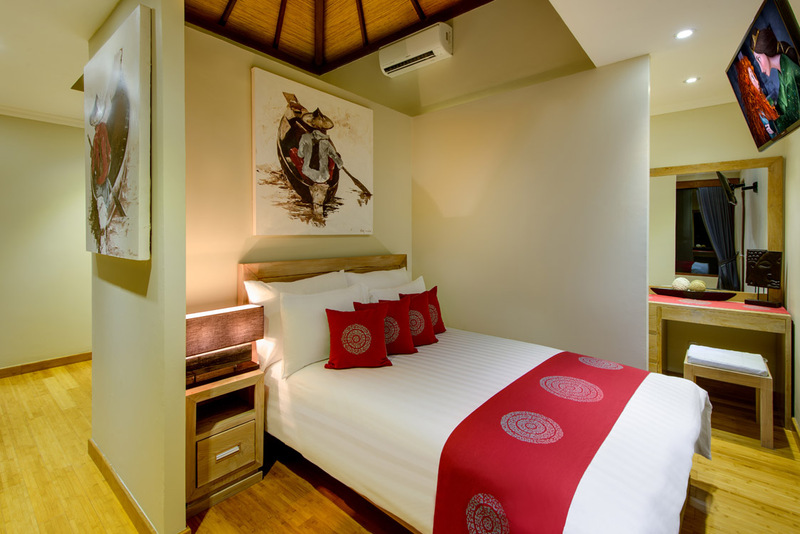 A two week holiday in Bali at the Villa Michelina turned out to be the perfect location for a family of three generations. There was unanimous agreement by the family that our Butler Bagi was without doubt one of the main reasons we enjoyed our stay so much. His infectious smile first thing in the morning along with a perfectly prepared breakfast is the only way to start the day. A wide variety of food and juices were made available along with a great brew of coffee. All meals were prepared and cooked to perfection and presented beautifully, on time, for all to enjoy in one sitting as we requested. No request submitted to Bagi appeared to be too much trouble for him as he carried it out as a true professional. He can be best described by the end of the second week as truly part of our family. 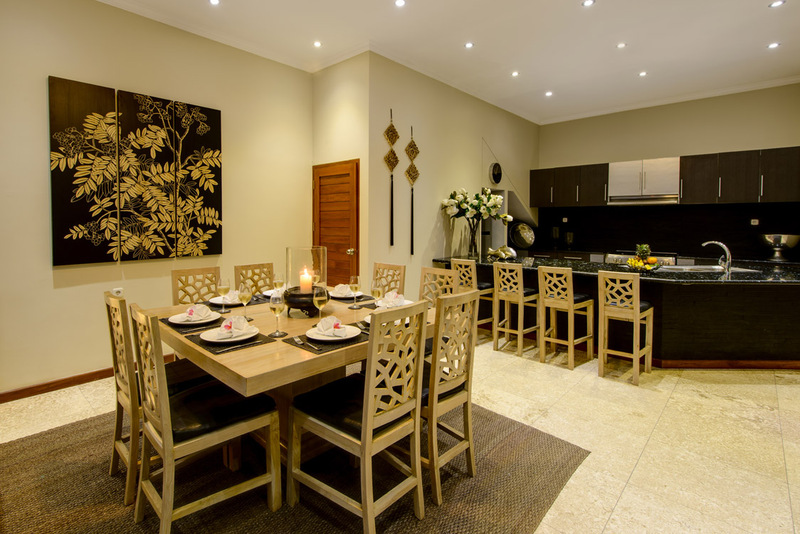 The design, layout and décor of the Villa lends itself perfectly for 3 generations of our family. Nanna & Pa in the bedroom downstairs while the rest were well catered for in the bedrooms upstairs, all with well appointed ensuites. Air conditioners in all rooms were more than adequate. TV and DVD recorders in the living areas and bedrooms meant each generation could watch their desired programme in peace. 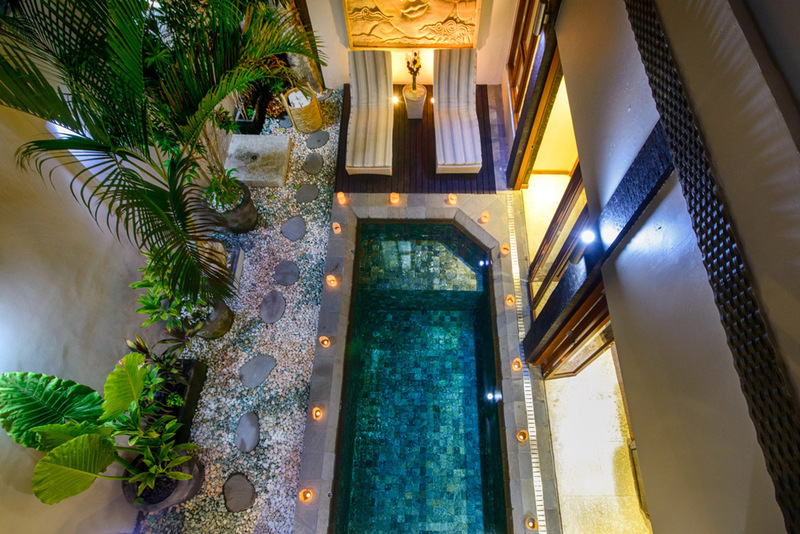 The swimming pool was a hit with all, perfectly located adjacent the main living and dining rooms, the perfect location for the safety of the 5 & 7 year old grandchildren. 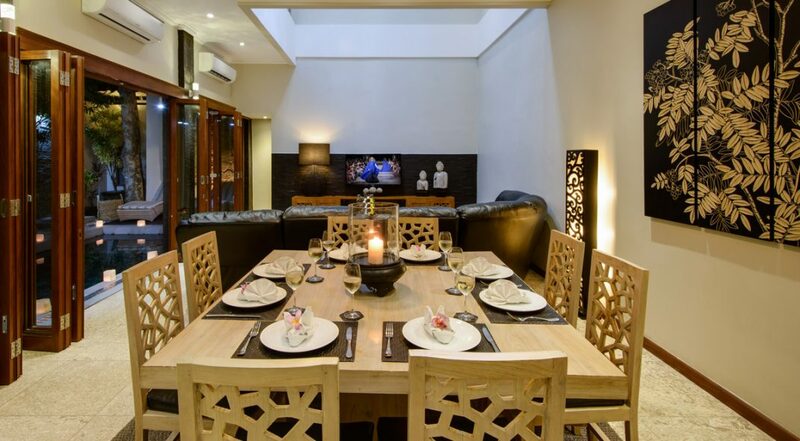 The Villa is located in Legian adjacent Seminyak which has many shops and highlights. 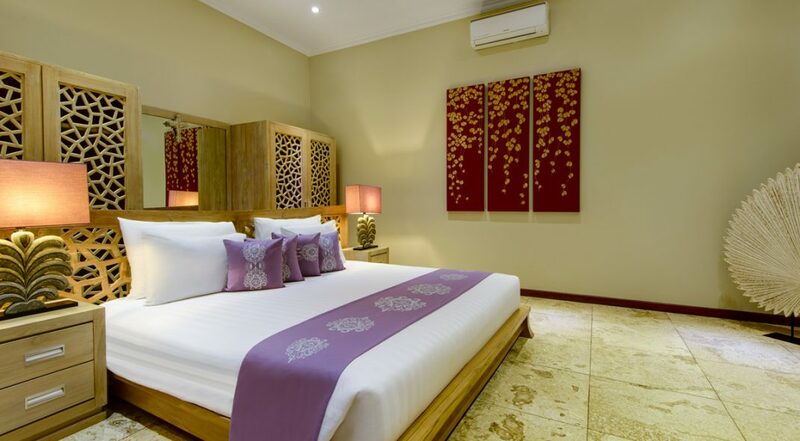 A five minute walk to the beach at Double 6 and a $5 Taxi ride to Centro (the main shopping centre) and Waterbom in Kuta makes the Villa Michelina the ideal location for a perfect holiday in Bali. 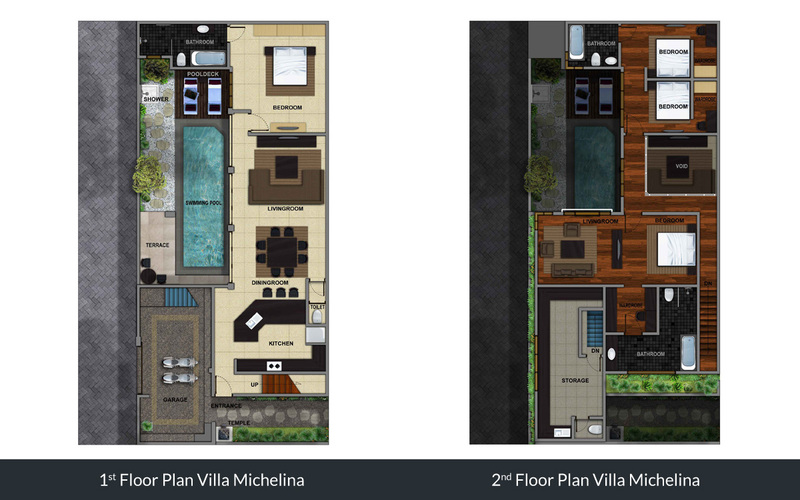 10 days at Villa Michelina was not enough - we wanted to extend our stay as we loved this place so much. The location was ideal as it was really close to the beach where the family would spend every afternoon swimming and watching those fabulous sunsets. 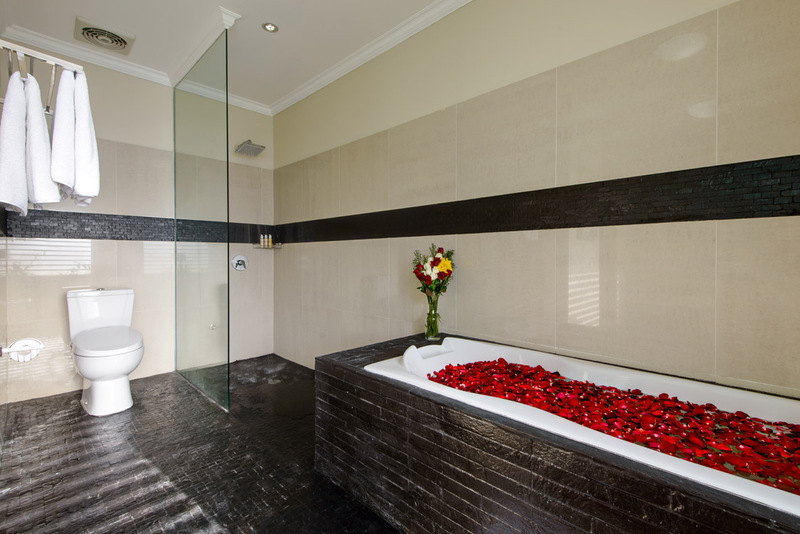 The villa was lovely, well maintained and meticulously cleaned every day by the friendly staff. I would recommend this villa for any family or group that's looking to be in a great position without spending too much money. 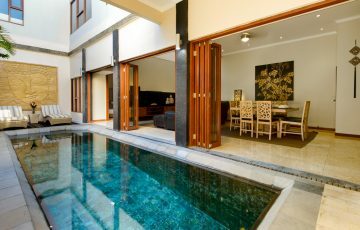 I really think it was good value considering the top notch facilities, warm and courteous villa staff. 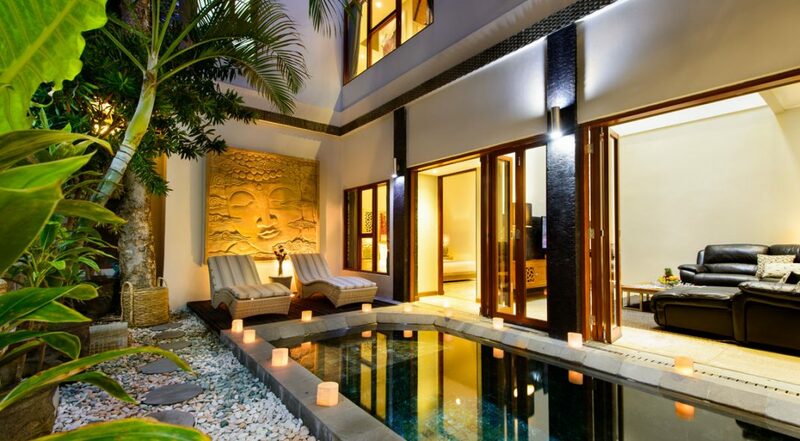 Next time were in Bali this is our villa of choice. Lovely villa in a really fabulous location. We absolutely loved being near Double Six beach and came down here most afternoons to get a seat at one of the restaurants and watch the sun set. Our favourite one was La Plancha - make sure you try this. 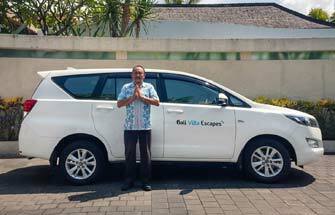 This was our first time to Bali and we didn't know what to do or where to go and the lovely villa manager made sure he pointed us in the right direction every day. We were so impressed with the place and enjoyed our experience so much that we have just made another booking for the end of this year. Just wanted to say thank you for your services during our stay at villa michelina. 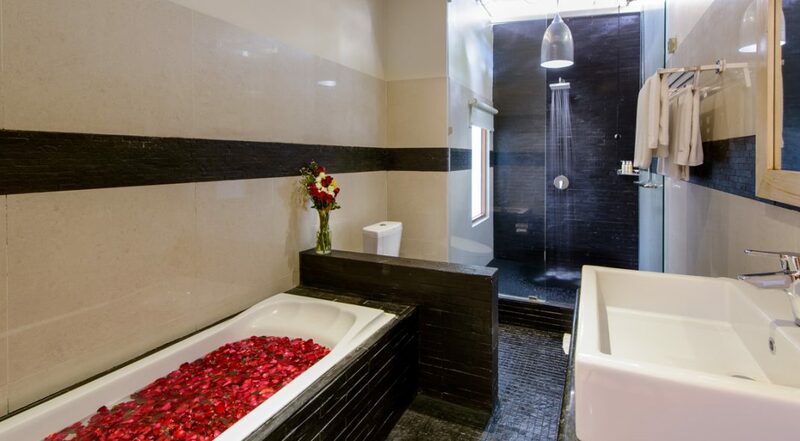 The villa was wonderful and the services of Bagi was excellent. Thank you and we will definitely come to you for our next trip to Bali. What a great villa in a handy location - next time I want to stay longer than a week. Villa Michelina was far better than our family expected.